BTB-300A cellophane wrapping machine video from Ruian Yongxin Machinery Co.,Ltd. BTB-300A cellophane wrapping machine is widely applicable to the automatic film packaging (with gold tear tape) of various single boxed articles, such as the medicine, health products, foodstuff, daily cosmetics, stationery articles, and audiovisual products. 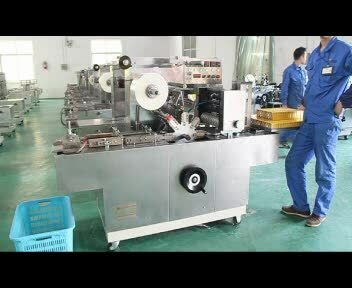 01:34 BTB-300B Wafers cellophane wrapping machine Ruian Yongxin Machinery Co.,Ltd.